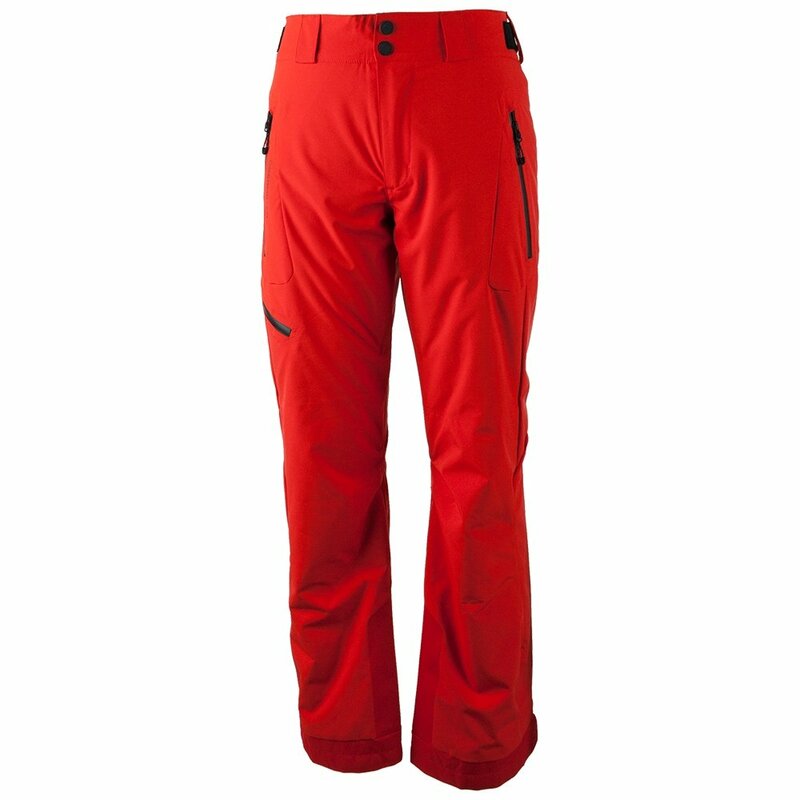 A pant that fits snug and moves with you, Obermeyer's Force Ski Pant relies on articulated HydroBlock® Pro polyester stretch. That fabric offers a 15K/15K waterproof-breathable package and is backed by 60-gram insulation. Water-resistant powder cuffs and an adjustable high-back waist work hard to keep moisture out. Control Zone Ventilation gives you built-in cooling to use whenever you need. "Need advice for sizing. I tried on a pair of North Face Seymore pants and the XL was snug. Would the Obermeyer also run this way? My waist 40-42. 5'11" 245 lbs. " "Thank you for your inquiry. The sizing for an XL is 38-40, which is smaller than your waist size. Please see the Sizing Chart for more information. We hope this information helps. " "Hi, do these obermeyer ski pants come with suspenders? Which green would you consider more on the lime/neon side? thanks. Js"
"No, these pants do not come with attached suspenders. The Green Flash colorway is more of a neon green/lime. Hope this information helps. " "What length is the SHORT inseam?" "The inseam depends on your size. Click on the Obermeyer SIZE CHART. Short inseams are 2 inches shorter than the regular inseam. Hope this information helps!" "Ebony would be a dark grey. We hope this information helps!"